The US Owned International chain of hotels, Hawthorn Suites by Wyndham located in Abuja Nigeria today opened up its hospitality services to the press exclusively after a massive renovation and innovation work. The new look of the Garki, Abuja based hotel attests to the fact that an upgrade of no small measure has been made, running into multi-million dollars. 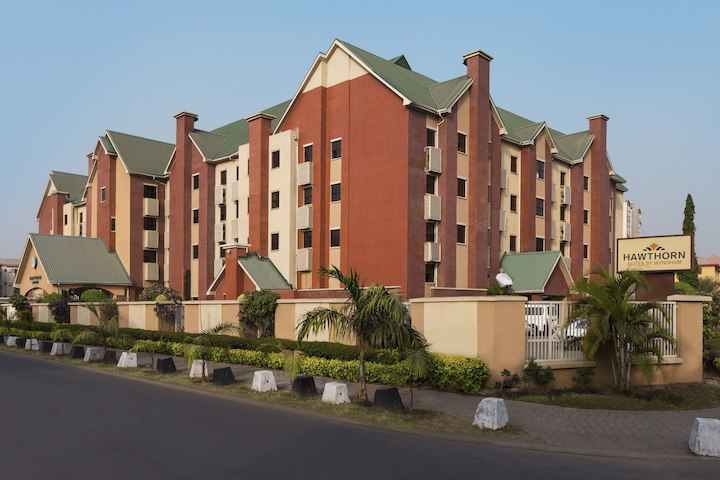 Hawthorn Suites by Wyndham Abuja is owned and operated by Shelter Suites & Hotels Ltd, a leading hotel developer and operator in Nigeria. The hotel in Abuja houses 108 guests single, double and suite accommodations, and property features include a complimentary hot buffet breakfast, high-speed wired & wireless internet access, infinity pool, fitness center, guest laundry, meeting spaces for up to 2000 pax and Wednesday evening social hours. 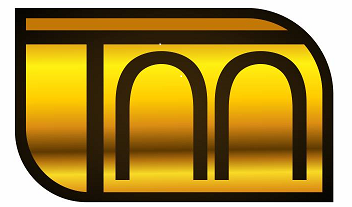 This hotel which has been undergoing major renovation in the past 2 years and has gulped multi-million dollars according to the General Manager, Amine Saad, also has room features that includes wet bars, expanded cable television, upgraded bedding featuring signature sweet suite bedding experience and more. This hotel in Abuja being the first Hawthorn Suites by Wyndham, in Africa is part of a global brand membership of the Wyndham Hotels & Resorts family of lodging which provides extended-stay hotels located throughout the world, featuring studio, one and two - bedroom suites with fully equipped kitchens and wet bars. Some of their properties allow pets and offer meeting and fitness facilities, swimming pools, guest laundry, convenience store items, valet and grocery services. 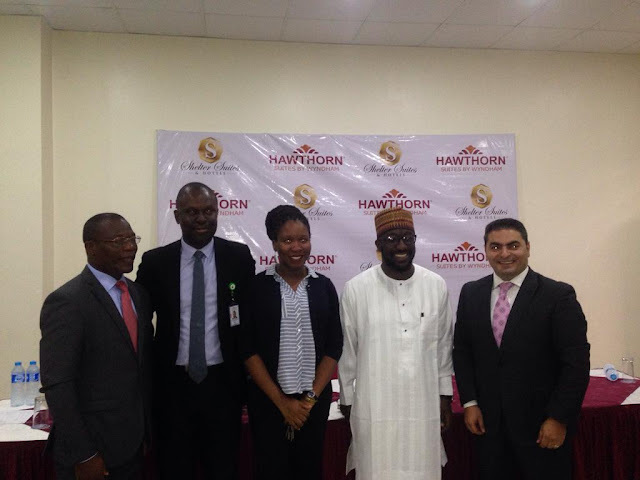 Present at the event today were, Managing Director, Shelter suites and hotels Ltd, Mallam Faruk Aliyu, General Manager, Hawthorn Suites by Wyndam, Amine Saad, Director of Sales, Hawthorn Mr. Bamise Ogundare, the Project director for Shelter Suites and Hotels, Ms. Udede Olagbe, Assistant General Manager, Jonathan Odua, and a Representative Jubril Aliyu. In the occasion of the official grand opening of the Hawthorn Suites by Wyndham, Abuja coming up this weekend, it is worthy of note that the Wyndham Hotels & Resorts is the world's largest and most diverse hotel company, with about 9,000 hotels as well as over 600,000 rooms across 66 countries under twenty hotel brands. The General manager speaking on the reason for the press conference, said the hotel made massive investment and that it “comes from our belief in creating value. We value the guest that stay with us and value our employees who are the reason for our success”. In furtherance to the big day, he informed that special guests expected at the event include Executive Governor of Kaduna State, His Excellency Mallam Nasir El-Rufai, His Excellency former President of Nigeria General Abdulsalam Abubakar(GCFR) as Chairman of the occasion and the Emirs of Suleja, Alhaji Awwal Ibrahim and of Minna, Alhaji Umar Faruk Bahago as the Royal Fathers of the Day. 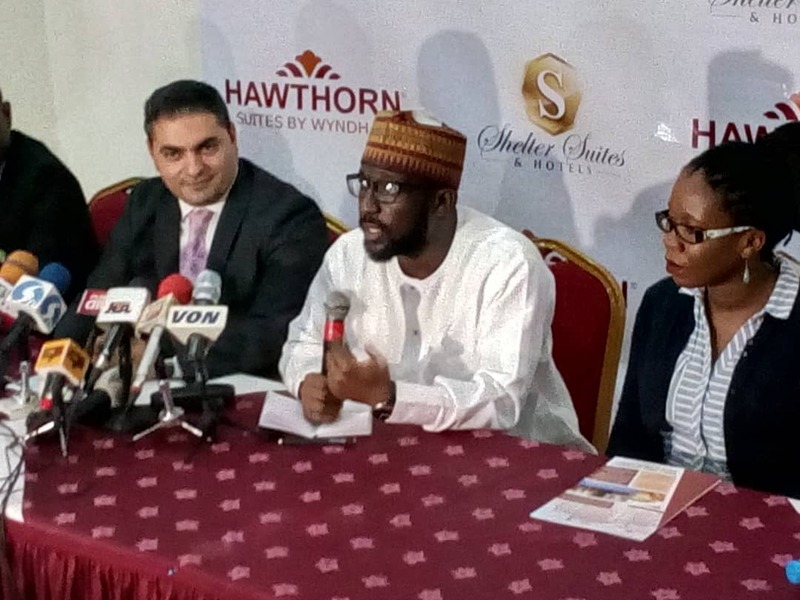 The hospitality industry seem to be experiencing a boost as the public are expectant of the new Hawthorn suites by Wyndham in Abuja as business looks promising. The grand opening ceremony is set for Sunday, October 7, 2018 in Abuja.